Grand Seiko celebrates the beauty within. Grand Seiko releases two new watches to mark the moment when they focused their quartz array on the most essential of basics. Their goal was precision and reliability: doing it well and doing it consistently. 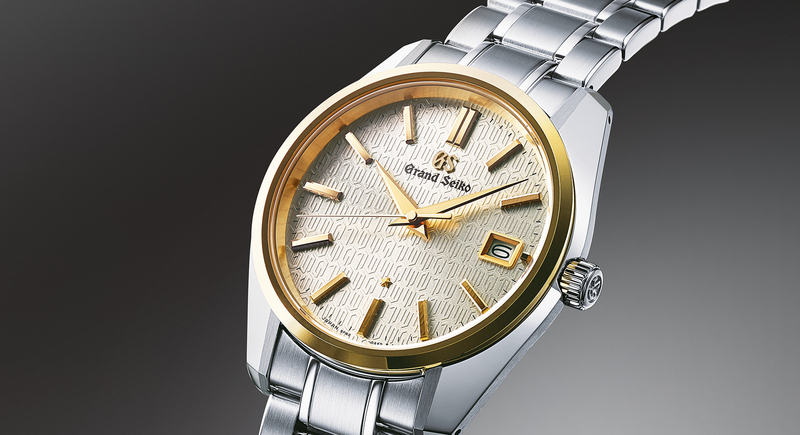 Grand Seiko commemorates the 25th Anniversary of their great 9F Quartz Caliber. Back in 1988, the 9F was Grand Seiko’s reaction to the worldwide trend. Quartz watches were all the rage, and with every iteration, the goal seemed to be to make them do more: more functions, more features, piling on the possibilities. But Grand Seiko looked at the situation and took a different path. They opted to focus. They concentrated on making a quartz watch caliber that emphasized the main essentials. They wanted precision, and they wanted durability, and to get them, they created the 9F. They didn’t rush the process, either. To make the first one, the Caliber 9F83, took 5 years. The timepiece incorporated hands as long as every other Grand Seiko watch, instantaneous calendar change, and most of all, enhanced durability and reliability. The Caliber 9F had a backlash auto-adjust mechanism, that was specifically designed to eliminate any shuddering of the second hand. It also ran a twin pulse control system to deliver increased torque. Now, Grand Seiko is giving us the new limited edition Caliber 9F Anniversary watches. They are released in stainless steel cases and bracelets, and one version comes with an 18k yellow gold bezel. 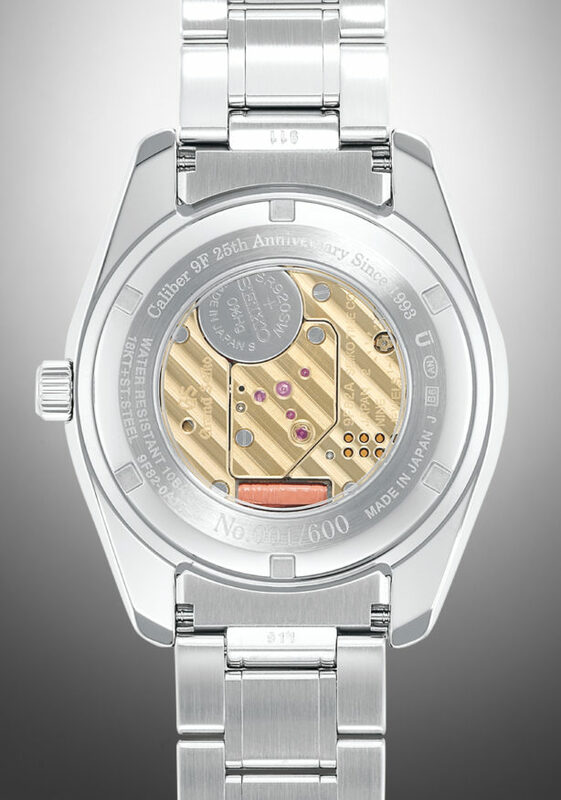 The second limited edition watch comes with a transparent case back, allowing you to view the quartz movement within. The new limited edition bears a close resemblance to the original 1993 model, with a few modern touches. The case is a little larger, to reflect current tastes. 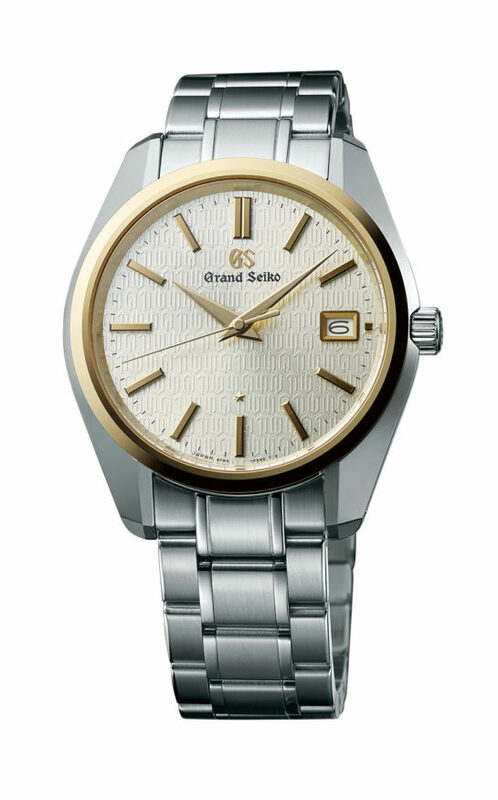 The Grand Seiko name is a t the 12 o’clock position, and the dial itself has a special pattern, one that is based on the traditional Quartz symbol, replicated over and over to create a textured surface. (If you look very closely at the 25 o’clock area, there is a slight variation in the pattern, as you can see the symbols for 9F and for 25.) And there is a small star just above the 6 o’clock index, a 5-pointed star that reflects the accuracy that the makers were prioritizing so highly. The 9F has a precision rate of +5/-5 seconds per year. All in all, it’s a fitting tribute to the watchmakers of 25 years ago, who decided that all the extras in the world were worth sacrificing, as long as you were sure that the watch held true to the essentials. It’s a lesson worth remembering.